Are you a dog lover? Do you live in an apartment or small home? Do you have allergies? A small dog with hypoallergenic fur might be the answer for you. “Hypo” is a Greek suffix meaning less or below. A hypoallergenic dog might still put out allergens, but at a much lower level. A few dogs that take up less space, making them better for apartment living, are the Silky Terrier, the Havanese, and the Coton de Tulear. These dogs are all considered of the “Toy” size by the America Kennel Club. The Silky Terrier was developed through a cross of a Yorkshire Terrier and an Australian Terrier in the late 19th century. Even with these early dates, it was not fully recognized as a breed of its own until 1955 as the Australian Silky Terrier. These dogs have terrier qualities such as enjoying activity and a very sharp alertness. Their hair is long, but the Silky Terriers do not shed. This long hair also is partially where their name is derived from. It has very soft and smooth qualities. The dog does require more than average care for this silky coat to stay in good condition. 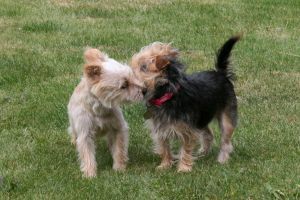 The terriers can get along with other dogs and children, but will get aggressive when provoked or teased. Proper education should be given to as well as the people around the animal as well as the dogs themselves in how to act around one another. The Havanese were originally developed by the Spanish from a now extinct breed called the Bichon Tenerife, making them part of the Bichon family of dogs. Grooming isn’t a worry with this breed, even with Havanese that are shown in competition. They are meant to look playful and friendly, much like their temperament. These dogs are great around children, other dogs, and people in general without becoming overly possessive. Their sturdy frame makes them that much better around curious children, unlike most fragile “Toy” sized dogs. Although they love playing and winning, they can be easily calmed when spoken to sternly by their owners. One of the major downsides to owning a Havanese is that they seem to suffer from many ailments such as cataracts and hip dysplasia. These are actually uncommon, unless the dog is adopted from a less than reputable breeder. A Coton de Tulear is another dog with Spanish roots from the Bichon family. Its actual home is Madagascar, where it is the official dog of the country. 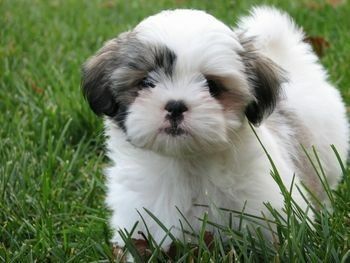 This intelligent breed is extremely playful, and when pure bred, is white in color. This white coat, while hypoallergenic, does shed more than that of their Havanese cousin, so it requires brushing once every week or two. The Coton de Tulears love people and enjoy playing with them, going on daily walks, and can even keep up on longer hikes. They get easily attached to their owners and suffer from separation anxiety at times. Overall, these dogs are very healthy, living anywhere from fourteen to eighteen years.